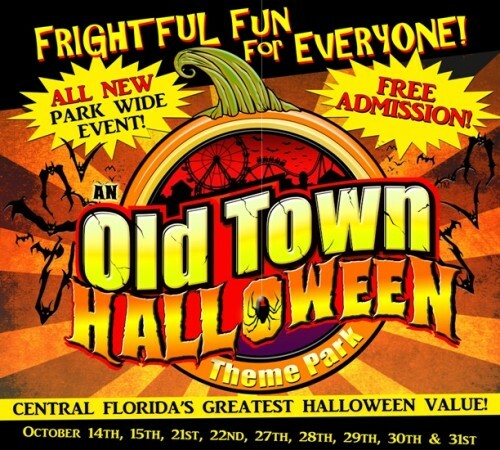 Old Town is celebrating Halloween with complimentary activities the entire family can do together. Enjoy costume contests, live entertainment, haunted streets, trick-or-treat stations and Halloween themed characters each weekend the rest of October. There will be nightly street performances by bullwhip artist Philip Daley, “The Cursed Cutlass” sword battle by Seven Circle Productions and the Dancing Dead. In addition to the street performers there will be live music, storytelling and magic shows. Special guests will include The Orlando Ghostbusters, Palm Coast Ghostbusters, Sun coast Ghostbusters, Heartland Ghostbusters, and Costumers with a Cause. The Old Town costume contest will feature categories for adults and children. Registration for the event begins at 6 p.m. on Oct. 15, 22 and 29. Judging for the kid’s contest will start at 8 p.m. and the adult contest judging will take place at 10 p.m. All costume entries must be family friendly, no gory or explicate entries will be accepted. The judges will pick winners from each of the following categories: scariest, best hero or villain and funniest. A one night only Zombie Walk will be held on Oct. 14. The streets of Old Town will come alive with the undead as professional make-up artist Tim Hays, of MonsterFX.net, transforms guests into zombies. To walk among the undead arrive at Old Town between 2 and 3 p.m. wearing old clothes or costumes. Tim and his artists will transform humans into zombies for a saunter along the streets of Old Town. The Haunted Grimm House in Old Town will also be open for those who are brave enough to enter. The year-round Haunted House has 20 rooms of scary décor and thrills. Tickets to this attraction are $12.50 for adults and $6.75 for children. myoldtownusa.com to learn more about the event.